Herbies in Sydney's Rozelle is somewhat of an institution,packed full of interesting and delicious spices and cooking inspiration. On the 7th of July, they will celebrate their 18th year in operation. Congratulations guys! The kit also includes 13 delicious recipes most of which are paleo and primal friendly. To give you an idea, I have included one of them below which utilises the Ras El Hanout 'Top of the Shop' spice - An exotic blend of 23 different spices, including saffron. Process cauliflower in a food processor until it resembles fine rice like grains, similar to couscous. Heat oil in a large frying pan and add cauliflower and spice mix. Cook over medium heat, stirring, 5-7 minutes, until lightly browned and cauliflower is cooked. Add currants, almonds, mint and preserved lemon and stir to combine. Season to taste and serve. Can be served hot or cold. 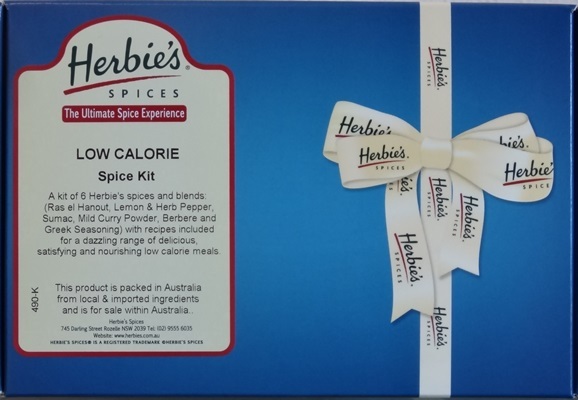 To win one of Herbies new Low Calorie Spice Kits - Please leave a comment telling us which spice couldn't live without and why. Don't forget to leave a valid email address so we can get in contact with you. Enter as many times as you like. The winner will be drawn on Saturday 4 July 2015. 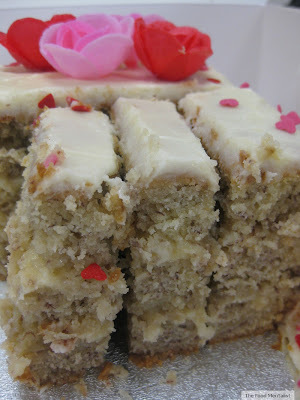 The winner will be announced on The Food Mentalist blog, Facebook & Twitter pages and contacted via email shortly after. The one spice that I couldn't live without is Chilli. I love Asian food and most recipes simply wouldn't work without it. And as a bonus it is divine in chocolate desserts!! I couldn't live without cinnamon and I always have it on hand. It is just so versatile, I use it mainly in porridge, french toast, apple pies, cinnamon scrolls and chai. Plus it has a raft of health benefits. Tasty, nutritious and healthy. A well rounded spice.